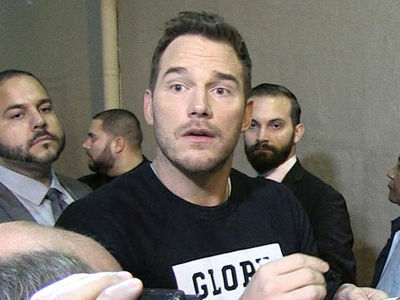 As if us average bros need more reasons to be jealous of Chris Pratt ... here he is lockin' up with UFC Hall of Famer Randy Couture at Jay Glazer's MMA gym -- and holding his own! So, why didn't Couture ragdoll the "Guardians" star like an MMA wannabe? 1) Pratt was actually a stud wrestler back in the day, and 2) Pratt says Couture took it "very easy" on him. Fun fact: this was actually a reunion! Chris says Randy coached him at a college wrestling camp 21 years ago, and he still remembers it like it was yesterday. "He invited teenage me to come up and demonstrate the three throws we’d learned that day ... it was such an honor." Guessing Randy feels the same way now. Chris Pratt: Carson Wentz is a Helluva Player, But Russell Wilson for MVP! !